Those of you who know or follow me know I am a veracious reader. As we came to the end of 2013 I was trying to decide whether to do a top 10 reads in 2013 or what what to do to reflect on my reading. In considering my options I decided to write this final post of 2013 on what was clearly the best book I read this year. In fact it was so great I read it three times! It was not the first book I read from this author, but I was extremely moved and motivated by this book. What was the book? 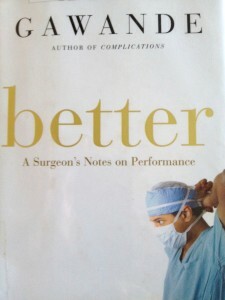 Better: A Surgeon’s Notes on Performance (2007) by Atul Gawande. I am in education, but as I always say there is about 90% similarity between all industries and only 10% difference. There are amazing connections between the field of medicine and education. I have read all the books of Atul Gawande. He is widely known as an expert on reducing error, improving safety, and increasing efficiency in modern surgery. He wrote the books Complications: A Surgeons Notes on an Imperfect Science, A Checklist Manifesto: How to Get Things Right, and The Best American Science Writing 2006. All of his books are incredible, and I was particularly moved by Better. There are always takeaways that are personal to the reader in any good insightful book, and this book was no different. One of his themes he discussed was the variation in doctors. Those doctors who are “the best” doctors with the best outcomes. Who are they? Why are they better? He calls these doctors “positive deviants.” The biggest question: How do you become one? 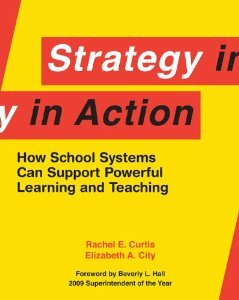 As I read the book I also considered the variation in educators and educational leaders. Really, you could do this reflection on any profession, including your own. A paragraph early in the book really touched me and set the stage for my intense study of the entire book. Gawande said: “Betterment is perpetual labor. The world is chaotic, disorganized, and vexing, and medicine (education) is nowhere spared that reality. To complicate matters, we in medicine (education) are also only humans ourselves. We are distractible, weak, and given to our own concerns. Yet still, to live as a doctor (teacher) is to live so that one’s life is bound up in others’ and in science and in the messy, complicated connection between the two. It is to live a life of responsibility. The question, then, is not whether one accepts the responsibility. Just by doing this work, one has. The question is, having accepted the responsibility, how one does work well.” (p. 9) You will notice I put ‘education’ in parentheses beside ‘medicine’ and ‘doctor.’ Do you see the connection between the two? You could put your profession in this paragraph too! Now, I want to make sure you caught the responsibility part. People talk about accepting responsibility all the time and the question is asked if we accept responsibility. Think about what Gawande said here. Just by doing the work we have accepted the responsibility. Therefore we have accepted the responsibility to work to be better or best! This thought alone really brings urgency to what I do every day! 1. Learn something about your patient. He says to ask “the unscripted question,” like where did you grow up? tell me about your family? He talks about making the human connection. Really it comes down to what I consider to be one of the most important components to education – Relationships. Without relationships and knowing your students (patients) there can be no learning. 2. Don’t complain. This is tough! It is easy to complain, but think about it… None of us like to hear others complain. Really, complaining becomes a poison to an organization. Be a solution to problems, not part of the problem! 3. Count something. We should be scientists and do action research. My doctoral degree journey really drove this home for me. By picking a problem to research that I was passionate about, I found a love for digging in and quantitatively and qualitatively analyzing. I have also learned to let the data speak for itself. It is also important to look at the data without judgement. We tend not to look deep enough into successes; it is easier to study failures. 4. Write something. Gawande said, “What you write need not achieve perfection. It need only add some small observation about your world.” I have always said that my posts to this blog serve more for my learning than for others. Even though it is really awesome to have others read what you write, writing is personal and causes us to reflect and learn. Hopefully if you have not read this book yet, I have given you enough of an intellectual appetizer to convince you to read Better. If you have read it, I hope I have caused you to go back and look at your highlights and reflect on your reading. As we close out 2013 and begin 2014 I want to use Gawande’s five suggestions to help me achieve his three core requirements for success: (1) Diligence; (2) Do Right; (3) Ingenuity – Thinking Anew. My wish for everyone in 2014 is to truly be BETTER! The first thing I want to establish up front is that this post has nothing to do with being for or against the Dallas Cowboys. There will also be no analysis of last night’s game between the Cowboys and Eagles. 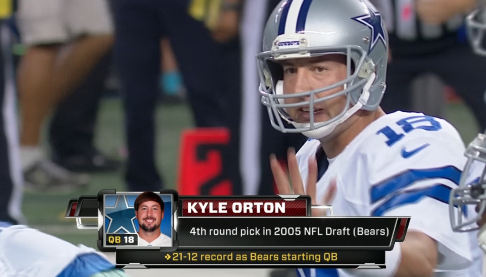 Now, I must admit, however, that I was watching the game with much anticipation of how Purdue Boilermaker Kyle Orton would do stepping up as the starting quarterback of the Dallas Cowboys. I believe Orton did a great job of stepping up and leading under the circumstances and I’ll leave it at that for you to agree or disagree. This post has more to do with what I thought were some very astute comments by Trent Dilfer, ESPN Analyst and Super Bowl Champion, after the game. When asked about the future of the Dallas Cowboys, Dilfer discussed some of his own opinions about organizational leadership that I believe warrant some reflection and thought. Dilfer talked about how sometimes the talent is overrated on the Cowboys. He said that for some reason there is a myth that when a new player puts on the “Star” of the Dallas Cowboys the “so called” abilities of that individual increase exponentially. This is important to consider in our own organizations. Do we think of ourselves or our team members as being much better than they are? It is obvious the detriments this mindset can bring to an organization. Many times an overconfidence in ability, or in a name, can bring about a miscalibration of areas for coaching and professional growth. The next point Dilfer made was that the Cowboys are known for going after the marquee players without a real plan as to how they fit in the organization. Jerry Jones tends to go after players and personnel that are at the top of their class or are friends, but sometimes they don’t exactly fit into the big picture of the team. Dilfer called this the need for taking a 30,000 foot view of where everyone fits in the organization. Again, I want to point out that Dilfer was not being disrespectful of Jerry Jones, a very successful and great leader. Dilfer did point out an important point that, we as leaders, need to consider: Making sure we step back and look at who our team members are, their skills and skill level, and how/whether they fit the overall vision of the team. In Good To Great: Why Some Companies Make The Leap… and Others Don’t (2001) Jim Collins discusses having the right people on the bus. It really goes beyond that to not only having the right people on the bus, but having the right people on the bus and in the right seats. I know I have made mistakes in my own role as principal in hiring that marquee teacher, that other schools are trying to recruit too, only to find he did not fit the overall culture and vision of the team. We can point to example after example where this has happened in pro sports with both players and coaches. I appreciated Trent Dilfer’s comments after the game, done in a very respectful manner, and the reflection these comments caused me to do. I for one, and I hope you will too, am going to step back as I continue to build our team and take a 30,000 foot view of where everyone fits on the team. In other words; should they be on the bus? And, if so, what seat should they be sitting in? As we have been taking part in different family and work traditions during this holiday season I am reminded how important the feeling of anticipation is. 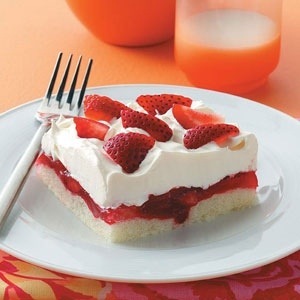 I tweeted a few moments ago that the greatest words ever said by a mother are, “Keep your forks.” We all know what that means – DESSERT IS ON THE WAY! Then we begin to anticipate what it will be; her famous Mince Meat Pie, Cheese Cake, Carrot Cake, or some other delicacy that only moms know how to make. Think about how important the feeling of anticipation really is. Today, Christmas Eve, is probably the greatest example of anticipation there is. Children around the world are spending the day anticipating that Santa Claus will arrive during the night and leave toys. The anticipation is even greater for those kids who sat on Santa’s lap and told him what they wanted him to bring. Those kids are now in anticipation those gifts will arrive. My son and I did our annual Christmas shopping excursion last night. We shop for mom and then go to Buffalo Wild Wings. While we were eating and watching the Indiana Pacers win, my son, Heath, made the comment, “Dad, I look forward to this every year!” I asked why and he said, “it’s fun to do this with you and we do the same thing every year.” In fact, I would add we get the same thing every year – a new Vera Bradley backpack purse! This story even has more to do with anticipation. The sales person at Merle Norman was the same one that has helped us buy mom’s purse for the last three years. In fact we always bring her an Aunt Millie’s pretzel and she wraps all our presents from other stores too. Are we true helpless guys, or what? When we walked in she said, “I knew you would be here!” She anticipated our arrival, and we did not let her down! So how do we use anticipation in other areas such as education and leadership? When I was teaching I loved to use anticipation guides. I now recommend these to the teachers I serve. With an anticipation guide the students are introduced to the concept of previewing and guided in completing a prepared anticipation guide for a particular topic or reading. Students are then given an opportunity to complete a portion of the anticipation guide independently. In the days that follow, students work in both teacher-guided and student-facilitated groups to extend their use of the previewing strategy with other resources and texts. Finally, students discuss as a class how using anticipation guides helped them better understand the readings, resources, and ultimately the subject at hand. As a leader, change represents an opportunity and it must be anticipated and prepared for. 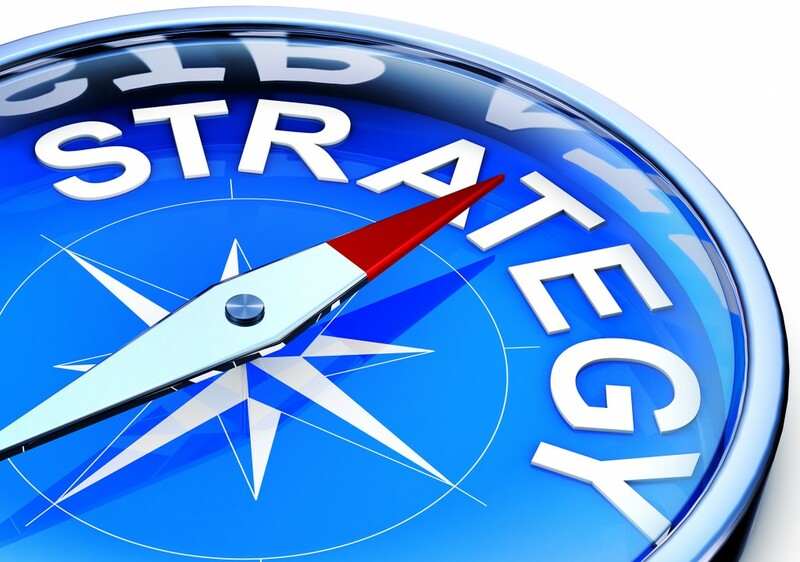 Foresight and change anticipation is a hallmark of effective leadership. Technology, radical innovations, new business models, globalization, demography, consumer demands, education reform, politics, and choices all contribute to making today’s society one of accelerating change. The drivers of change are numerous and complex, and their impact varies from one sector to another. The way change affects your company depends largely on the capacity of key actors to anticipate and prepare for such an eventuality. There is big difference between anticipating and guessing. Anticipation means expecting, being aware of something in advance, to regard it as possible. The ability to anticipate is one of the key ingredients of efficient speed in leadership. Some of you are too busy dreaming about where God is taking you next to appreciate how far He has taken you recently. Stop for a moment and celebrate. Others of you are so busy celebrating what God has done in your life that you’ve yet to realize it’s just a taste of what He still has to do in you and through you. Stop for a moment and anticipate. Merry Christmas! May all the great things you are anticipating come to pass! Today is a very special day! It is the 110th anniversary of the first successful flight of an airplane by Orville Wright. 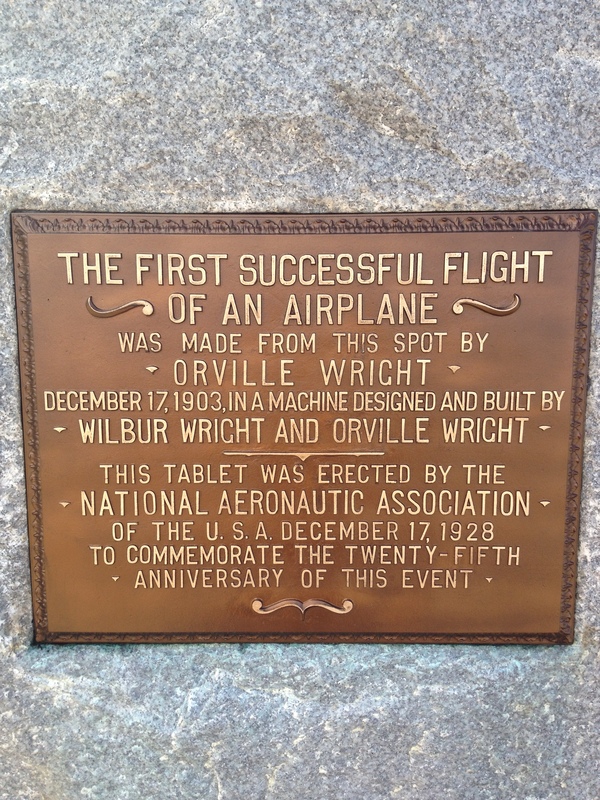 The plane was designed by Wilbur and Orville Wright. When reflecting on the Wright Brothers today I am reminded of one of my favorite quotes: “Do not follow people who stand still.” This quote by Woodrow Wilson certainly describes the Wright Brothers, who did anything but stand still in their quest to invent a flying machine! The Wright Brothers truly had a growth mindset (Dweck, 2006). Just as Geoffrey Colvin stated in Talent is Overrated: What Really Separates World-Class Performers from Everyone Else (2008), it is not about a fixed set of skills, abilities, intelligence or talent; it is about personal growth and the mindset that we can all grow beyond where we are today. Besides all this, the fixed mindset says it is not enough to succeed, we need to be perfect and flawless. Pretty hard to live up to, I think. On this anniversary of first flight lets look at the Wright Brothers’ growth mindset. They believed that just because it had never been done before, did not mean that it could not be done. Think about all the impossible things that have been conquered by man. These things might include, landing on the moon, landing a craft on Mars, curing many diseases, organ transplants, and yes – even first flight. So, why settle for accepting the way things are. The Wright Brothers had the vision for what man-powered flight could do for the future of civilization. I for one am happy, on this 110th anniversary of first flight, that the Wright Brothers had the growth mindset! Do you have a fixed or growth mindset? 6. Evaluate all budget recommendations based on three criteria: their direct impact on student achievement, risk to the district if not implemented, and alignment with the district’s strategic objectives. 8. Systems making substantial progress answer three questions: What are we doing? Why are we doing it? How are we doing it? 45. Problems have causes and symptoms. We often mix these two things up. 85. Three simple questions: How does what I’m doing support children and their learning? Is this working for children? How do I know? 100. It is about the work, not the people. Ultimately, it is about the education of children. Again, this was an outstanding book that I believe anyone who is serious about delivering wowful educational leadership, or leadership for any organization should read and study!